An Israeli court on Wednesday suspended an expulsion order for Human Rights Watch’s country director until a decision is taken on a HRW legal challenge against it, the rights watchdog said. 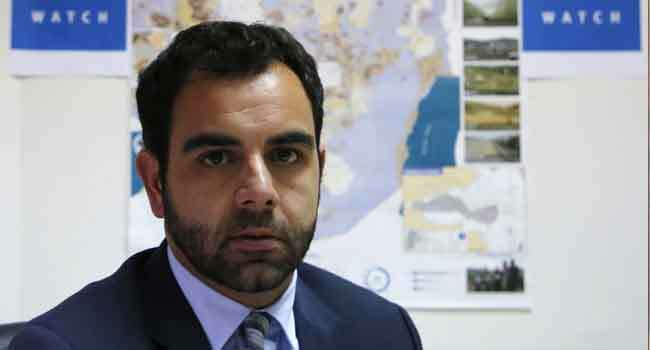 The injunction granted by the district court in Jerusalem came only a day ahead of the deadline for Omar Shakir to leave Israel after authorities accused him of previously supporting a boycott of the country. Shakir, a US citizen, rejected the allegation and said Israel was seeking to silence dissent. US-based HRW has filed a lawsuit challenging the decision by Israel’s interior ministry terminating Shakir’s residency permit. The court had last week rejected an initial HRW request for Shakir to be allowed to remain in Israel at least temporarily. But the rights group also filed a separate request for the injunction granted on Wednesday. Shakir said in a statement the court found that the decision to revoke his residency permit was based on facts that pre-dated its issuance, meaning it could have been known beforehand. “The court reasoned that the revocation decision was based on ‘old facts’ that predated the grant of the work permit,” Shakir said in a statement. Proceedings are now expected to move forward on HRW’s full lawsuit against the expulsion order. Last year, Israel passed a law banning entry to foreigners who support boycotting the country. Israel sees the boycott movement as a strategic threat and accuses it of anti-Semitism — a claim activists deny, saying they only want to see the occupation end. Israel’s government, seen as the most right-wing in the country’s history, has repeatedly criticised rights groups it accuses of having a left-wing agenda.